Day 16 of my 30 Days of Ag “All Things Minnesota Agriculture” is Nova-Tech Engineering based out of Willmar, MN. And I have to be honest. This was not on my radar screen as an ag company I was planning on showcasing in my November blogging series. 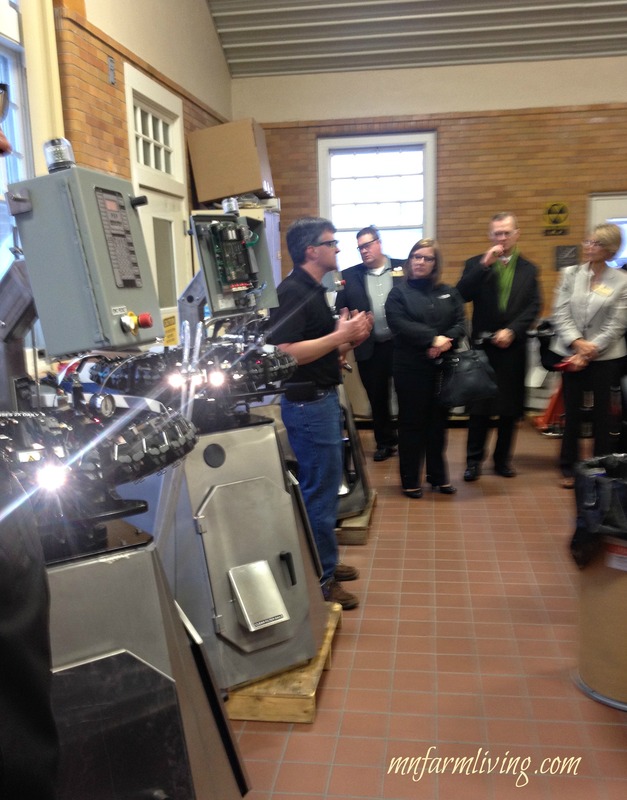 But after touring the company last week with the MARL (Minnesota Ag Rural Leadership) program, it was a no brainer. I needed to include them. Nova-Tech Engineering is most notably recognized as a technology leader in the poultry field using Minnesota’s own innovations and resources. In 2005, Nova-Tech partnered with Life-Science Innovations to buy a 37-building, 110-acre historic hospital facility in Willmar from the State of Minnesota. Since that time, they have developed the resulting MinnWest Technology Campus into the largest privately owned technology park in the country. These machines are placed all over the world. 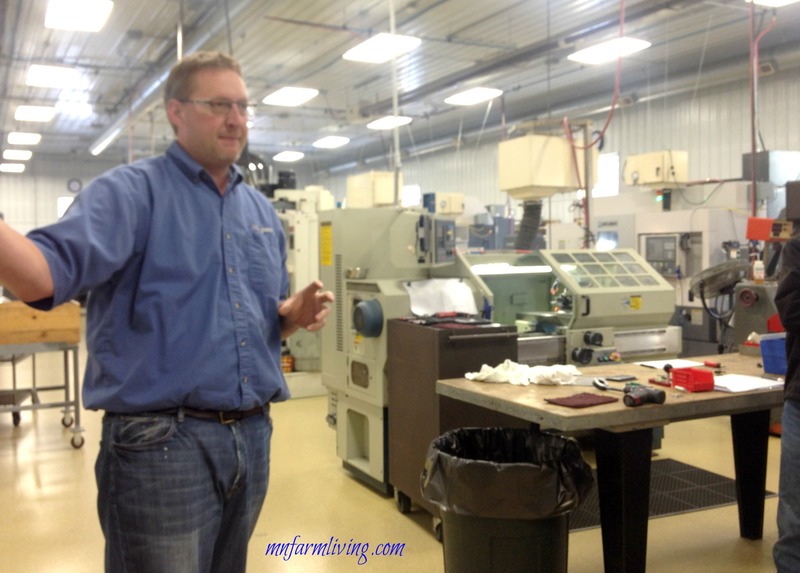 Our MARL group was given a personal tour of Nova-Tech by the CEO, Jim Sieben. What I found most interesting is this machine was designed specifically to use “modules.” As a result, if the machine breaks down and needs repairs, a new “module” is simply swapped out for the bad one. The machine is functioning within 5 minutes. All repairs are the responsibility of Nova-Tech. Minimal downtime is mandatory because these machines process 4000 chicks per hour. It simply has to work. And it does. What Specific Processes Are Done Automatically? Beak Treatment – The beak treatment uses an infrared technology that treats the beak tissue. It is non-contact and bloodless. Much different than process before the infrared technology where the beaks were broken. Beak treatment is performed when chicks are a day old to decrease injuries caused by cannibalism, bullying, and feather and vent pecking. Birds naturally peck at the environment and each other to investigate and work out where they fit into the flock (pecking order). Claw Treatment – Claw processing is done through microwave energy that treats the eponychium, or nail forming portion of the toe, allowing the bird to retain the entire toe without the claw present. Benefits include bloodless treatment, reduced infection, and increased employee output, the MCP (different than the PSP) is capable of processing 1200 to 1500 birds per hour (depending on operator). In addition to increased output, the microwave system is more accurate, efficient and easer to operate than older methods (i.e. hot blade unit, electric spark). Counting and Loading – The PSP also counts the birds and puts them into loading containers. Injections – Birds are automatically given needed vaccinations using the PSP. Needle Sanitation – Needles are automatically sanitized after use. Future – Future processes will include giving newborn chicks eye drops automatically similar to the automatic vaccination process. And these processes are greatly improved the care for these birds. Less evasive. Significantly less chance of harming the birds. Again, a perfect example of doing something better today than what we did yesterday. And I have no doubt we will continue to see innovations similar to this from Nova-Tech. After touring Nova-Tech and learning about the technologies they are using in ag, I am so proud to say they are a Minnesota Agricultural Technology firm and more people need to recognize the agricultural technological advances in Minnesota. Hi, Ms. Patsche, as you mentioned in the website, I would like to know more about the equipment of “Poultry service processor” from the Nova Tech Engineering company, could you sent me some information about the equipment, such as company address, custom service, e-mail, and so on. Yes, I would be more than happy to pass along the company information for Nova Tech Engineering. Go to: http://www.nova-tech-eng.com and I think there is enough information to contact people and information.